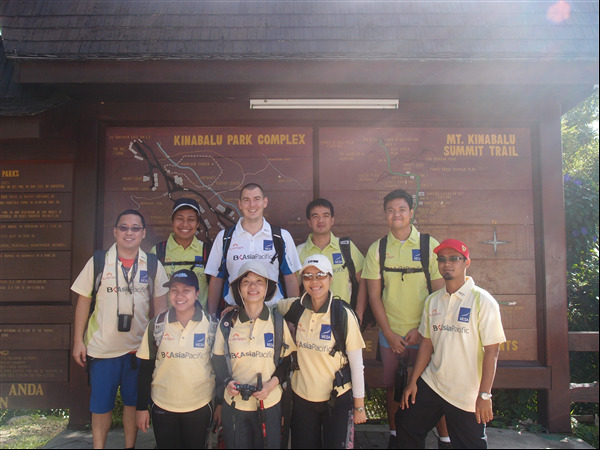 Some piccies from my recent charity climb up Mount Kinabalu in Malaysian Borneo. I did this climb raising money for the Lighthouse Club. That's the mountain in the background. 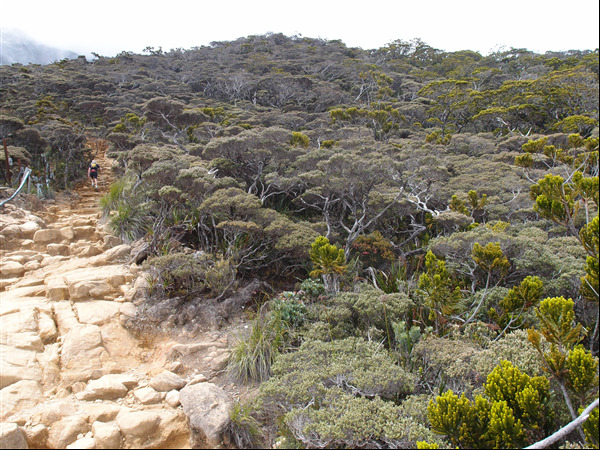 At 4,095m it is not massive, but does make you wheeze a little on the climb up there. These are my colleagues that made up the BKAsiaPacific team, a real mix. 3 from Malaysia, 1 from Hong Kong, 4 from the Philippines and the token Brit in the middle! Lunch was also provided. A tuna sandwich (with the crusts cut off! ), an apple, 2 chicken wings, a slice of cake and a bottle of water. Just what I wanted for 4 and half hours of mountain climbing. I eat more than that for lunch every day! Part way up the climb you walk through the clouds. 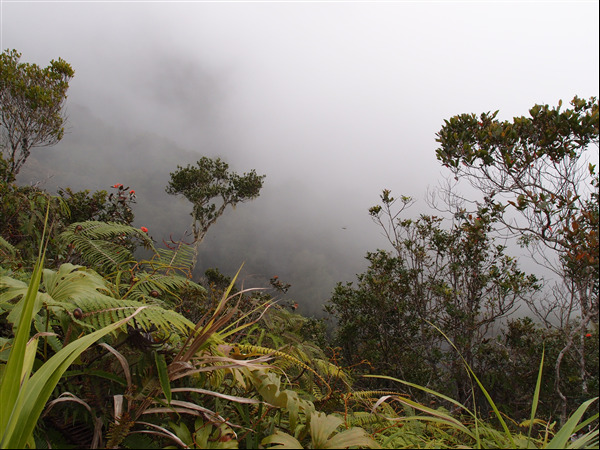 The temperature also drops, although I was so hot I didn't feel it. 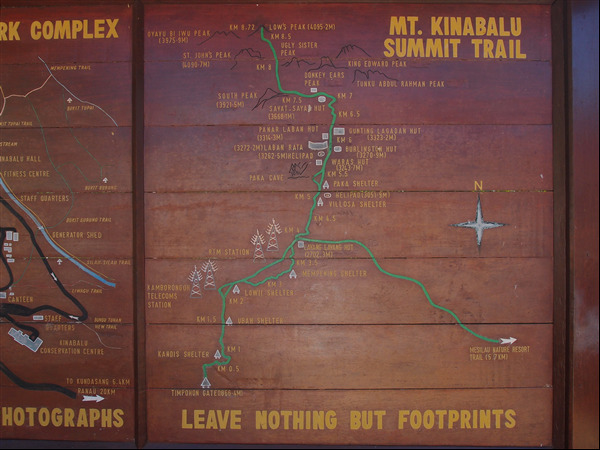 Everything that goes up to Laban Rata (what we called base camp) goes by foot. 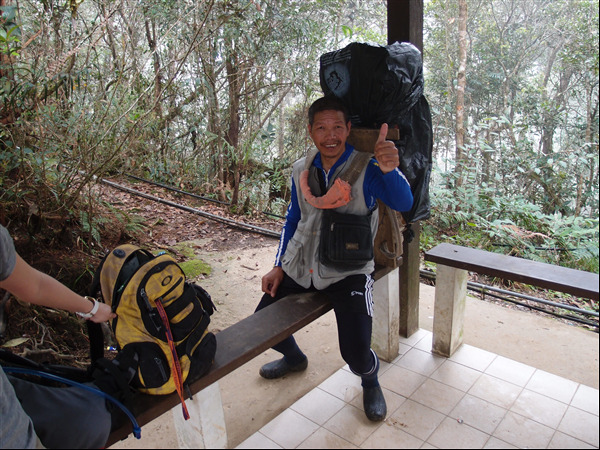 That means all the food, beer, water, and supplies are carried by porters. They typically get 8 Ringgit per kilo for a round trip. That's currently about £1.70/kg. This man had rice and potatoes on his back. The award for the heaviest cargo though must go to either the man we saw with 2 gas bottles on his back (and I'm not talking about the small ones) or the man with a lintel on his shoulder (they are currently building another hut up there so all building supplies go by foot also). This shows part of the route. I didn't see as much wildlife as I expected though. This is a different type of terrain to walk on. I can imagine if it is raining that this is like a river. Fortunately for us it wasn't! The Pendant Hut, our home for the night. It consisted of 40 bunk beds, 3 WC's, 2 showers and a kettle. All you need for a good night's sleep except that the showers were cold, and when I say cold, I mean freezing, mountain fresh water. They actually have solar water heating which apparently worked for the first 2 people, but the other 33 of us were not so lucky. These were our beds for the night. 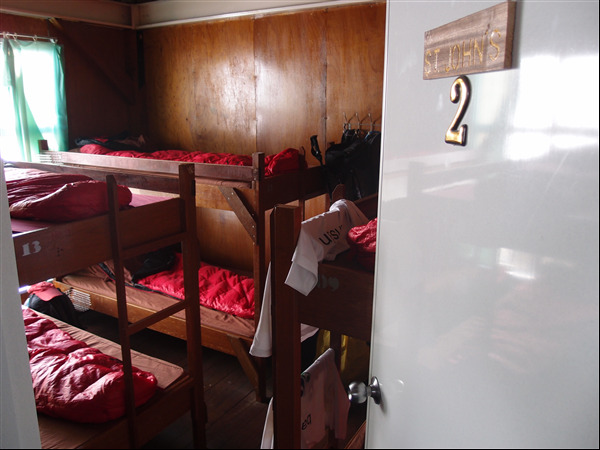 We had 8 bunks in our room. I really did feel sorry for the 2 ladies that shared the room with the other 6 men, but then everyone was so tired they said they didn't mind. You would have thought that everyone was so tired after the climb that we all slept like babies, but everyone (in our room at least) said they couldn't sleep. Maybe it was the anticipation of the wakeup call we were getting at 1.30am? 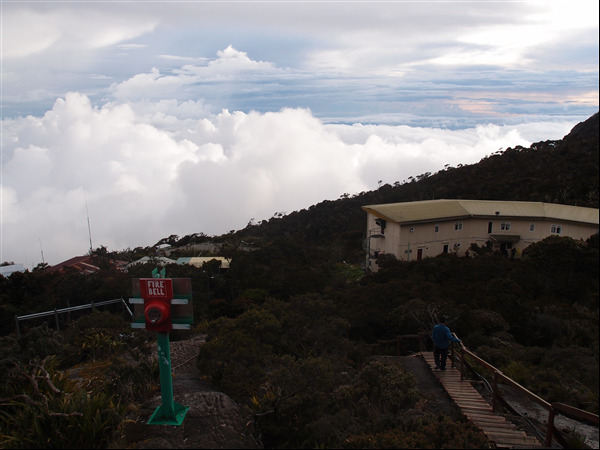 This was the view from our window, way above the clouds. 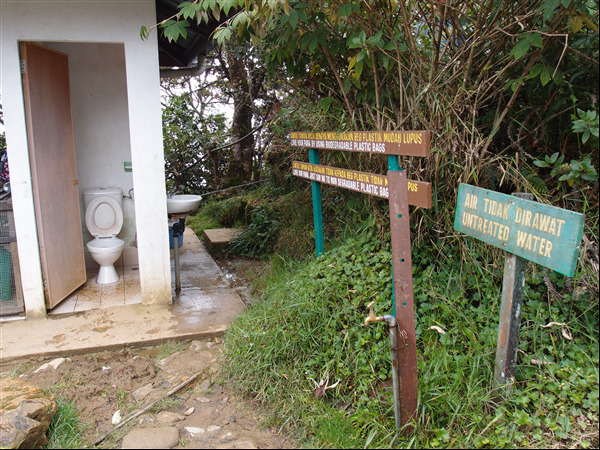 Now we had a dilemma - the problem was that the food was served in the hut, you can see below, but once you got up to the top, took your shoes off and had a coffee, you didn't want to go down, or worse still up, the 200 steps to our hut. 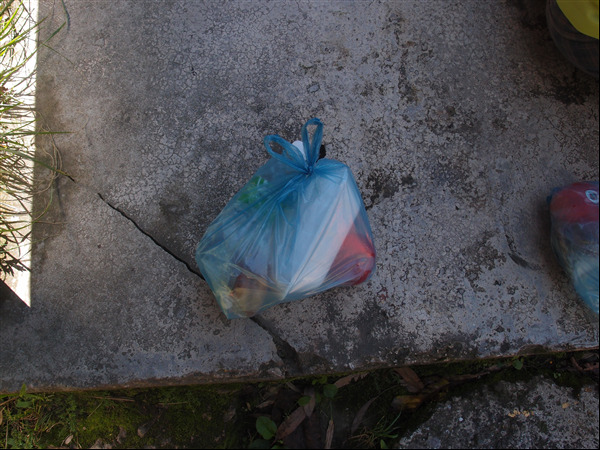 Catch 22 - food or sleep, starve or collapse? Food won! 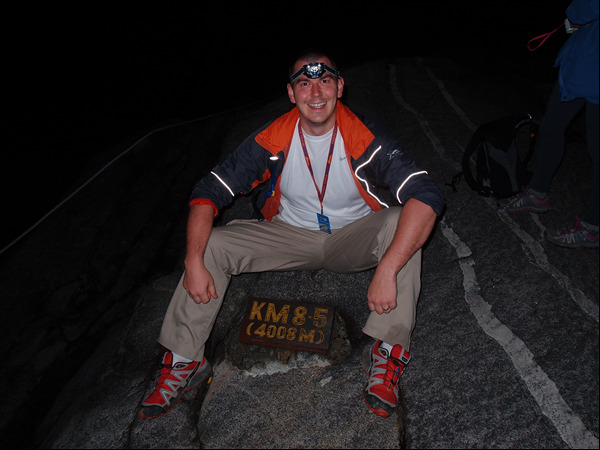 This was taken at about 2.30am on our ascent up to the peak. 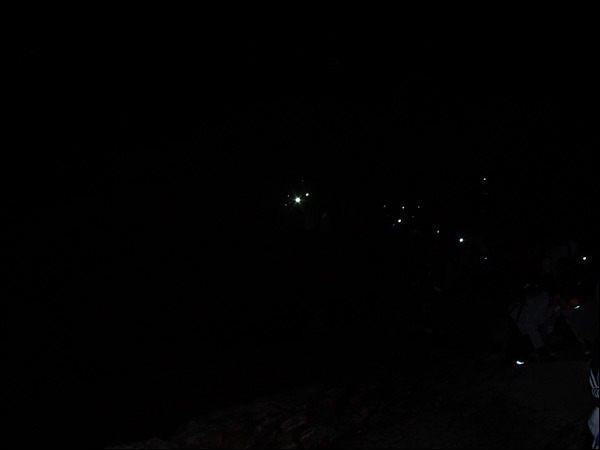 The lights you can see are the head torches worn by the other climbers. There were 192 climbers on the mountain that day plus any guides that had been hired. Almost at the top. 220m horizontally and 87m vertically to climb. The view from the top of the mountain, just after the sun had come up. Not a view I will forget in a hurry! 2 of the people I made it to the top with. Angela from Hong Kong and Guenter from Germany (currently living and working in the Philippines). 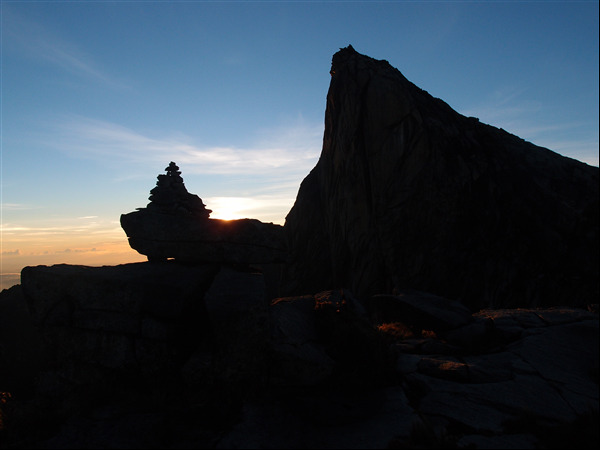 A random artistic shot of some stacked stones. 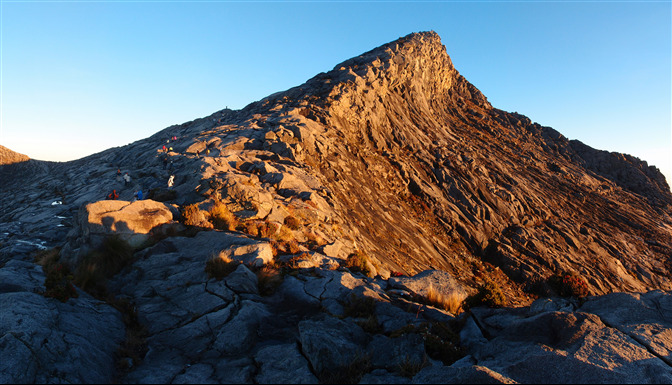 This is the iconic shot from the Kinabalu, interesting that it isn't actually of the peak, which is behind me. 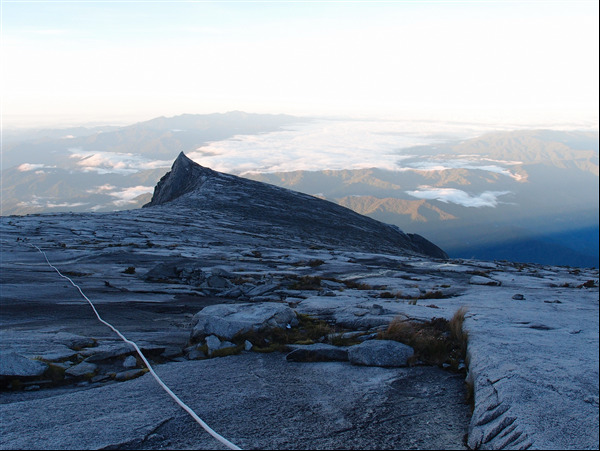 The rope on the side is the line that you follow in the dark up to the peak. As you can imagine, the terrain looks very different when you finally get to see it in daylight. This is the peak. 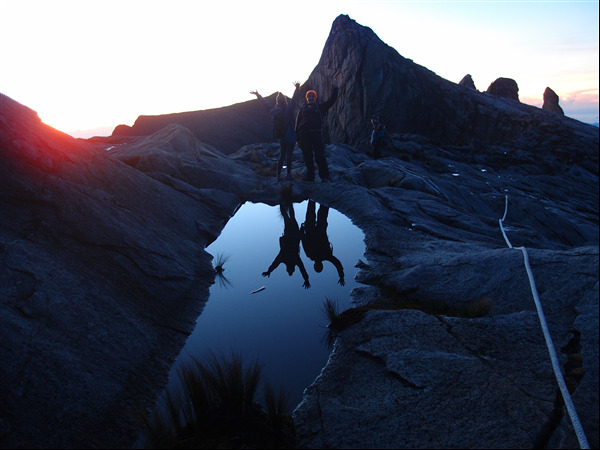 To give some sort of scale to the image, if you look closely you can see people on the left climbing up. That last 200m or so was gruelling. At a guess the temperature was between 0 and 5 degrees. A panoramic with Low's peak on the left and a seriously big drop just in front of me. And finally, just to add to the whole trip we did a Via Ferrata (Iron Road in Italian) down some of the mountain. 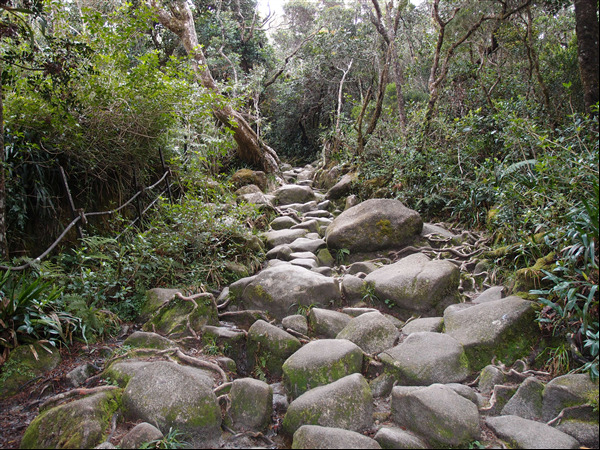 Basically it is a steeper, near vertical and scarier version of the climb we had already done, taking a different route part of the way down. You are secured to an iron rope, but it still gets your heart racing. 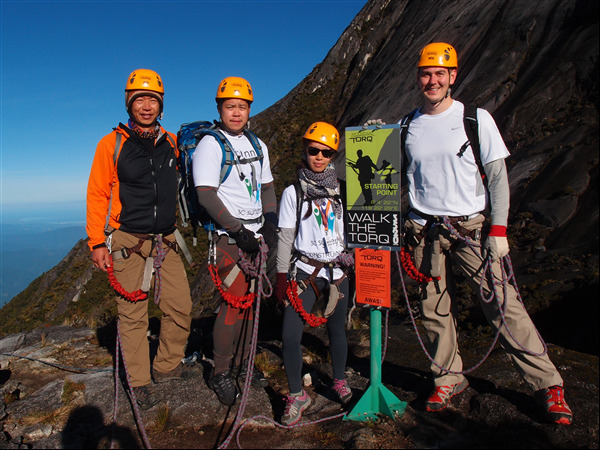 It's called 'Walk the Torq' and is the world's highest Via Ferrata.